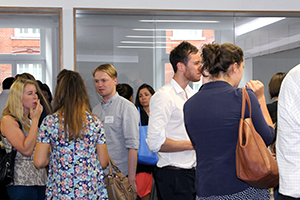 The latest of our roadshow events was a big success! Over 40 marketers from the Direct Line Group brands, including Churchill, Green Flag and Direct Line enjoyed learning about some of the innovative services our media owners have to offer, as well as a great breakfast spread. A great and informative way to ease everyone into their week! The third of our Insight events this year featured two highly engaging and insightful presentations from Vodafone and Blackjack. Over 40 marketers heard Daryl Fielding, Director of Brand Marketing, present on what she terms as the seven critical factors required for creating a successful brand strategy. customers. We also heard from Ian Priestman, Head of Experiential, Blackjack Promotions who spoke about how experiential has created customer loyalty and genuinely influenced purchase decisions as well as examples of how this has worked with your day to day brands, through to the luxury sector by engaging with the emotions of the customer. 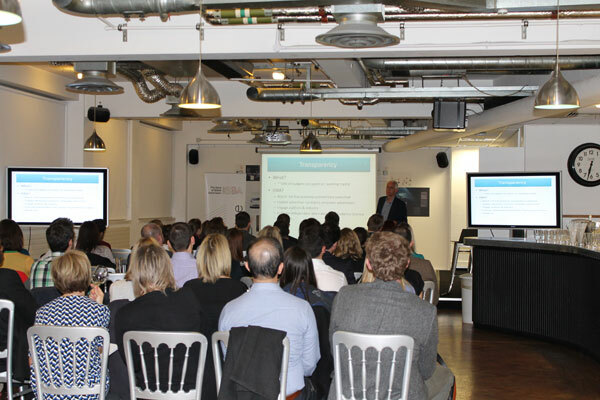 The second of our Insight events this year featured two highly engaging and insightful presentations from Asda and Weve. 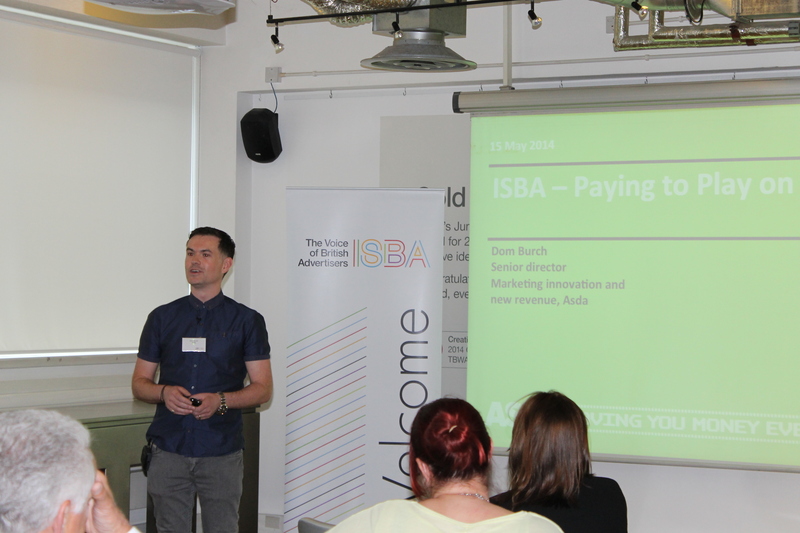 Over 40 marketers heard Dom Burch, Head of Social, Asda discuss how they created and implemented a social strategy relevant to both Asda and their customers. We also heard from Tom Pearman, Weve's Director of Brand, who highlighted the top 5 areas that brands should be looking into when it comes to mobile. 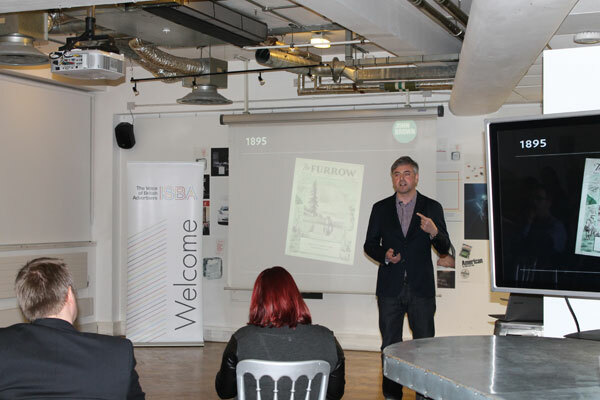 The first London Insight event of 2014 took place on 6 March with over 40 marketers present to hear ISBA's Bob Wootton discuss transparency and the current situation with buying ads in the digital space. Alex Silcox, MD of John Brown was also on board and gave some very interesting insights into content/native marketing and the strategies that brands should be employing to achieve success when it comes to the 'C-word': CONTENT! Mike Singleton, Paddy Power, gave us an insight into the brand's 'Mischief Department', plus how they will continue to innovate and entertain their target market. 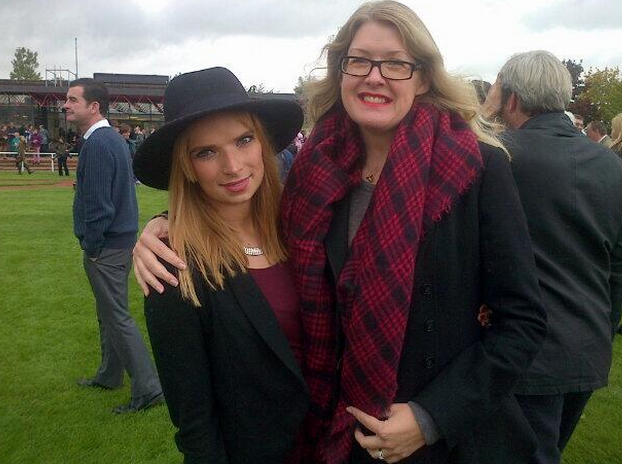 Paddy Power is nominated for the Marketing Society's 'Brand of the Year 2013'. Guy Jones, eBay, spoke to members about eBay's new research into the behaviour of brand 'switchers', and how brands can reduce the leaking of this group, while also attracting them from competitors. 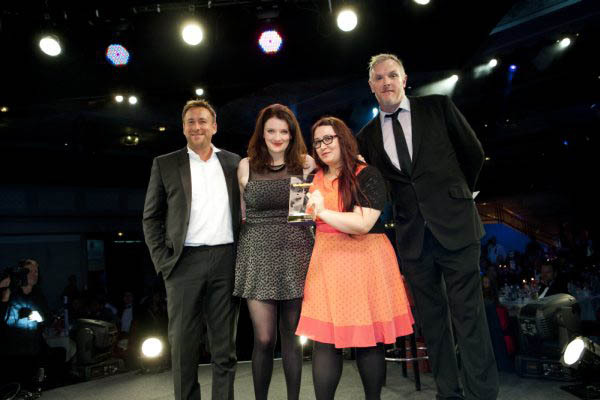 getmemedia.com were pleased to partner with The Media Week Awards for the sixth year running. We again sponsored the Media Innovation Award, a category with a fantastic shortlist of companies with brilliant campaigns. Carat with 'Bodyform - The Truth' were deserved winners. Our MD Pete Davis can be seen in the photo below presenting the award alongside the compere, actor and comedian Greg Davies. getmemedia has been working with The Marketing Society for six years through sponsoring the Marketing Society Member Welcome Evenings. These informal events welcome new members to the society and provide members the opportunity to meet and network with influential people from a variety of companies over champagne and canapés. The evenings are set in a central London venue, most frequently held at Soho House. As Lords, Wembley & Twickenham are recognised as the homes of their respective sports; Cheltenham is the hallowed turf of Jump racing. 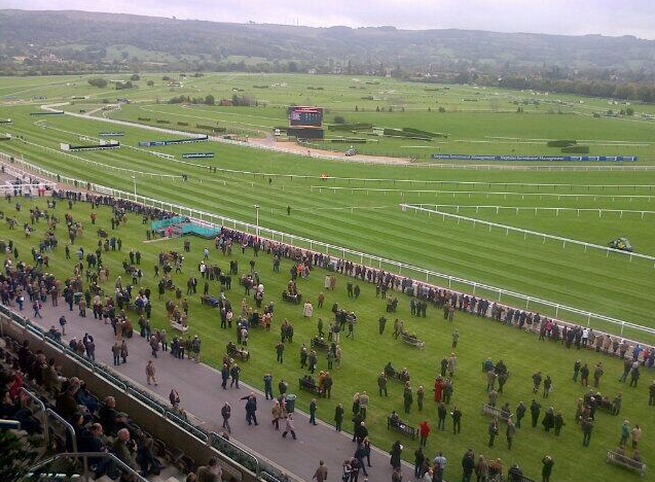 Quite simply, every Owner, Trainer & Rider dreams of winning at Cheltenham. 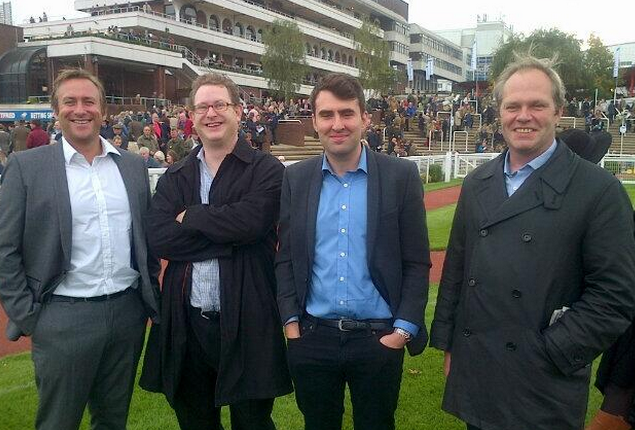 Guest's enjoyed a unique day’s racing at Cheltenham, including a look ahead to the season, a tour of the course, and an explanation of how Cheltenham and the Jockey Club can work with brands to exploit the affluent spectator and broadcast audiences that follow the sport. Though unsuccessful in the races, a fun day was had by all who attended, with new connections made and continuing business discussions occurring. 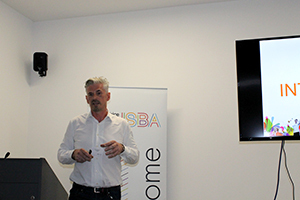 In a room full of over 60 marketers, ISBA and getmemedia members heard from Simon Mahoney, Chairman of SMP and President of the Marketing Agencies Association Worldwide, on shopper marketing and Will Orr, Commercial Director of British Gas, on ‘big data’ in the energy sector. To truly deliver Shopper Centric thinking not only do we need to understand the differences between the Consumer and the Shopper, but also the differences between how a Consumer views themselves and the often contradictory actions they take when in “shopper” mode. What are the principles of a good Shopper Marketing campaign? 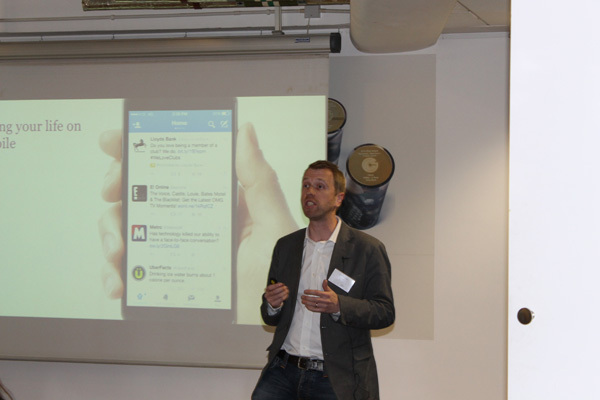 Simon Mahoney of award winning agency SMP shared some examples of how Shopper Marketing can bring brands to life. How is British Gas working to improve the public perception of the brand and the sector? How have British Gas harnessed “Big Data” and how are they using it to deliver their marketing strategies and improve the customer experience. The second I&N evening of the year certainly lived up to the hype, as Twitter and EE, two of the advertising world’s most dynamic and innovative brands took to the stage! Requests for places were at record levels and those that were lucky enough to get a spot were certainly not disappointed! 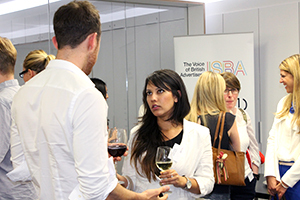 Highly engaging and relevant presentations combined with networking opportunities – that’s what ISBA’s networking events are all about! Spencer McHugh, Marketing Director, EE, Orange & T-Mobile gave us an insight into the launch of the EE brand, and looked specifically at how did they optimised their launch of 4G ahead of their competitors. He also spoke about the decision to choose Kevin Bacon as a brand ambassador and how they keep digital and social media at the very heart of their brands communications. We also heard from Twitters Sales Director, Bruce Daisley, whose discussion on ‘Social getting Serious’ was the perfect follow up to Spencer and EE’s take on keeping brands social. Incorporating real life case studies and examples showcasing the links between TV and Twitter, Bruce gave our members a unique insight in how to make the most of twitter and use social media to deliver meaningful results for their campaigns. ISBA hosted their Annual Conference on the 13th of March 2013 at Lord's Cricket Ground. This event has a reputation for providing insight on the key issues that affect advertisers. This 25th Annual Conference was no exception and had a powerful line-up of speakers that shared their views across a diverse range of topics. Along with an update on the political and regulatory fronts, there was a focus on key media developments, exploring how best to drive business growth, and a host of other relevant topics. getmemedia.com has been involved with the ISBA Annual Conference for the past 6 years. In the video Pete Davis, Managing Director of getmemedia.com tells us how the ISBA conference is a great place to exhibit and develop business relationship with new clients. 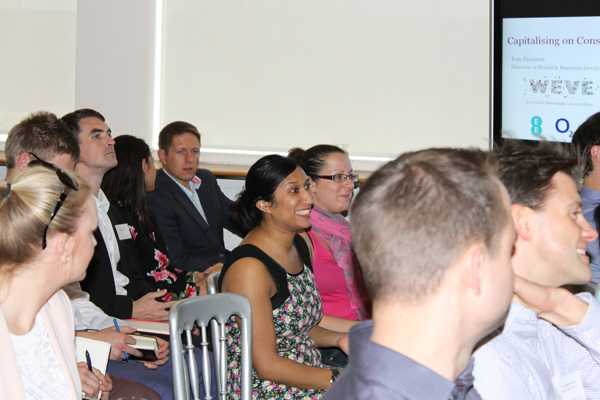 These regular, exclusive member events aim to deliver insightful presentations and provide guests with the opportunity to network with other marketers. 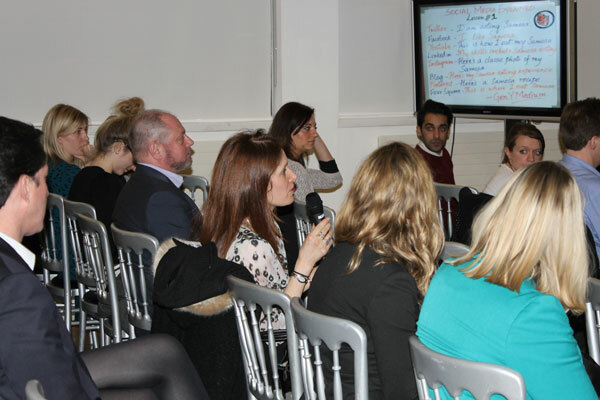 This first insight and networking event of the year got off to a roaring start as Unilever and Astus UK gave insight into some of the hottest marketing topics for 2013! There were highest ever attendance figures for the event and those present were treated to some highly relevant and engaging presentations. 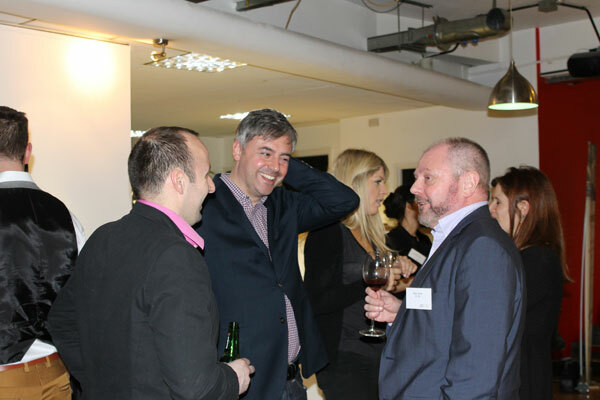 With so many members in attendance, there was also lots of opportunity to network. Sarah Mansfield, Unilever’s Media Director (UK and Ireland) allowed attendees a glimpse into the highly strategic yet effective world of social and digital applications, as they apply to FMCG brands such as Lynx and Marmite. Sarah made sure our members understood the real importance of digital engagement, by giving a live demonstration of how Unilever intertwines traditional media with digital applications such as Shazam. 2013 could be the year for Media Barter and Astus CEO, Frances Dickens, took us through the 10 top points about Media Barter, making sure we all knew exactly how the ancient practice translates into a modern context to deliver business efficiencies. 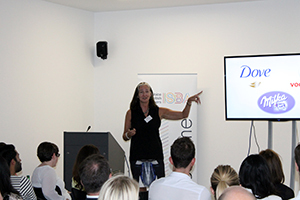 Our client Amscreen partnered with ISBA to run a Digital Outdoor Breakfast Briefing, wonderfully hosted by Draftfcb in their Victoria offices. 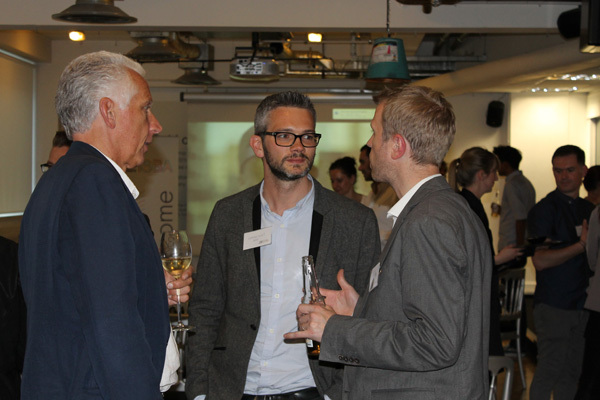 The event was attended by leading UK advertisers including Barclays, Nestle and Kia. The initial connection was set up by Getmemedia.com who also helped facilitate the event. 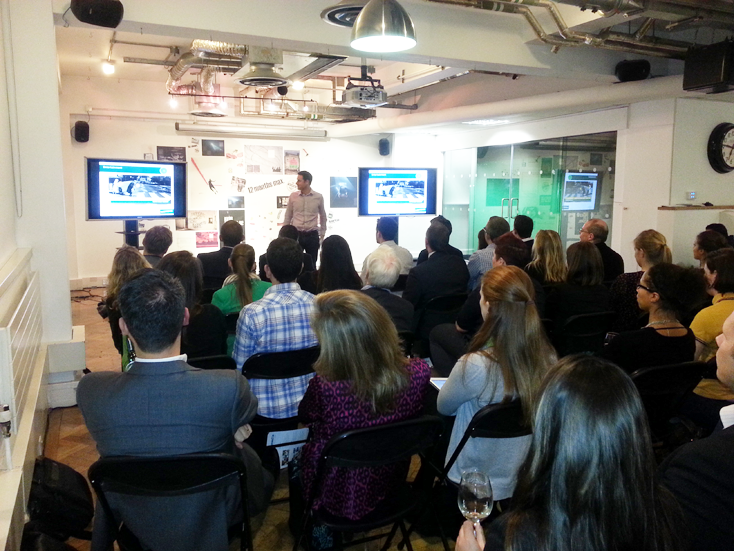 Martin Talks, Global Digital Lead for Draftfcb, presented his ideas and advice on how brands could get the most out of Digital Outdoor. Jamie Lindsay, MD of Amscreen, the digital outdoor company, demonstrated how powerful a role technology now plays in helping advertisers to reach their target audiences through means other than the television set, and how digital out-of-home is flourishing with increasingly dramatic revenue figures. Lord Sugar, Chairman of Amscreen, then led a Q&A session, during which he spoke of his belief that the days of simply watching ads on the television are fading, adding that for advertisers there lies a big challenge in embracing a whole new way of delivering digital content in a way that will engage consumers. He also shared anecdotes and insights into his investments and successes with technology over the past three decades. Getmemedia.com are delighted to again be sponsoring the Media Innovation Award at the Media Week Awards. Pete Davis MD of Getmemedia.com was also on the judging panel this year, so this is an extra special occasion for us. To check out all the photos from the event click here. Enter your unique code to to retrieve your personal photos here. Getmemedia.com is the place to find marketing inspiration. Use our free marketing search engine.It includes great advertising opportunities for TV, Radio, National Press, Local Press, Magazines, Internet, Mobile, Cinema, and Outdoor as well as PR, Direct Marketing, Experiential, Events and more.